We're proud to announce that we've signed a worldwide publsihing deal with the amazing Dublin-based alt-pop act Æ MAK and her collaborator Daniel McIntyre (Lullahush). Aoife McCann, aka Æ MAK, was the first artist chosen for Festival Republic’s ReBalance Programme – a PRS Foundation supported initiative launched in 2018 to promote female-led bands and solo artists. In 2018 she supported Warpaint, tune-yards, and Django Django, played UK festivals like Latitude and the Great Escape, as well as her own sold out headline tours in Ireland. The new year sees the duo head to the Netherlands to perform at Europe’s biggest showcase festival, Eurosonic. 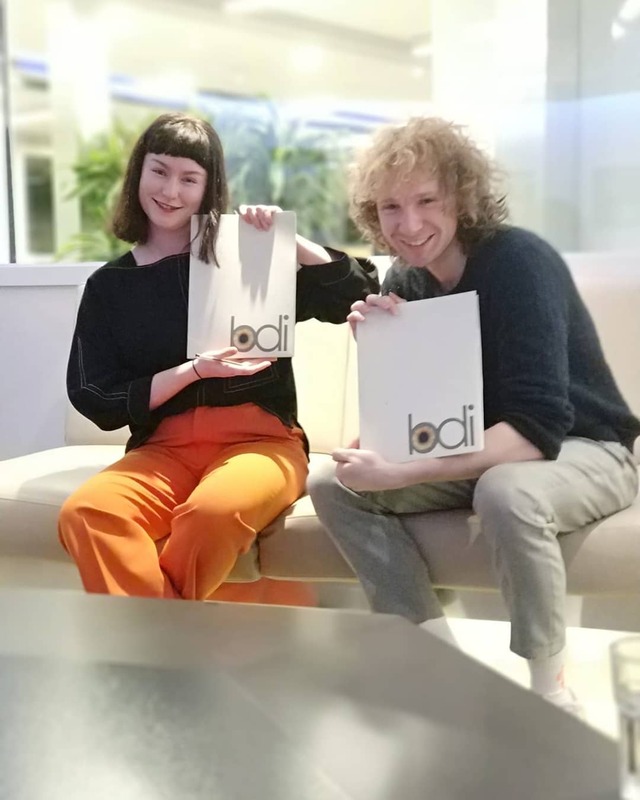 Our MD Sarah Liversedge said of the new deal: "Aoife and Daniel are both incredibly creative artists and writers, and they are thriving in this collaboration. They are garnering some real attention across press and radio, and have played to great audiences at high profile festivals across the UK. 2019 is going to be a great year for them." Jawdropper Management, who manage Æ MAK, added: "We are hugely excited to be working with Sarah and the brilliant team at BDi. Aoife and Daniel are incredibly talented individuals and it was clear from the start that Sarah understood and shared their vision as artists and that together the future can be very exciting and successful." Mat Davidson Composes the Music..
Novo Amor Releases His Version .. The Line of Best Fit Premiere's..
Honeyblood - Glimmer (Stripped ..